Once upon a time, all sake used to be called Tarusake. From the beginning of the Edo Period to the end of the Meiji Period, sake was normally stored in barrels called taru made of cedar. 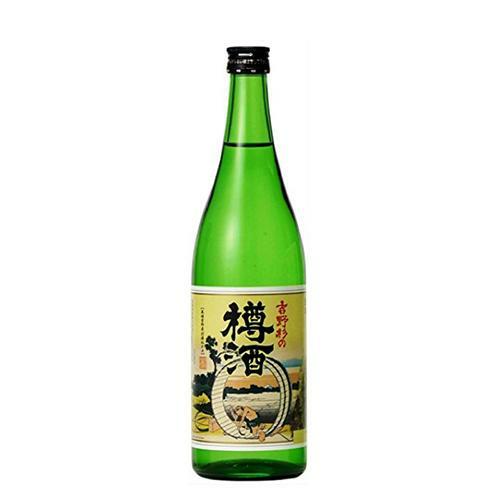 In 1964, Choryo succeeded in making an excellent tarusake using Yoshino cedar barrels. Since then, for almost 50 years they have been making tarusake in the same traditional way. Fresh on the palate, and with a pleasant cedar flavor that brings its peculiar richness and well-balanced aroma. This is a sake recommended for wine lovers who love the aroma of oak. Able to be drunk cold and hot.